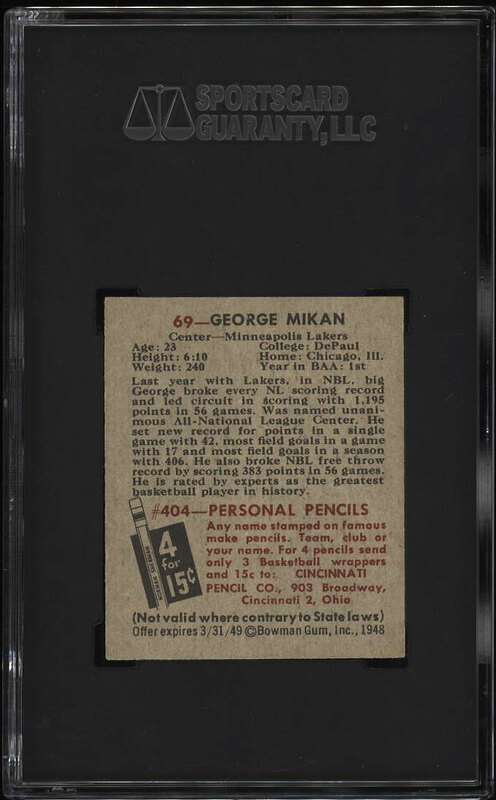 Shockingly high-grade '48 Bowman George Mikan rookie up for auction this month and easily the finest copy we've brokered in our 20+ year tenure. In fact, this SGC 8 example represents the highest graded example publicly auctioned in many years. 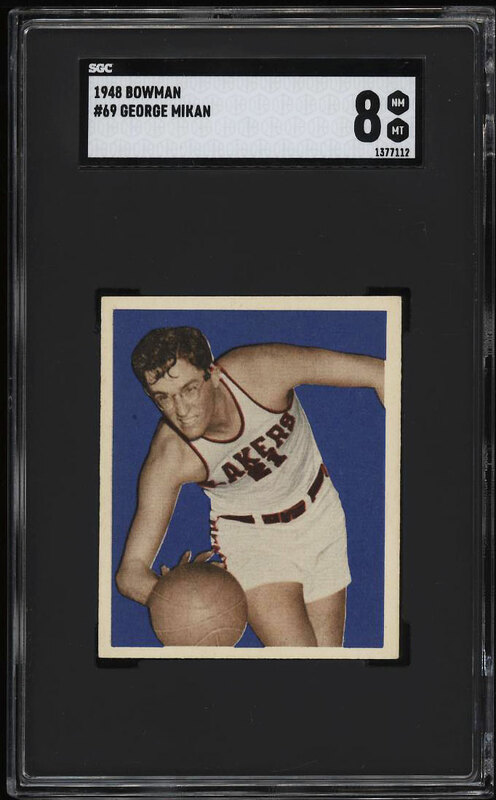 The level of eye appeal this card presents is extremely rare as the high-numbers (#s 37-72) have a scarcer production number and are typically plagued by centering and print issues. The offered beauty displays undeniable NM-MT presentation with it's beautiful framing and minimally touched corners. The card possesses a vivid blue background with outstanding print and clarity. Clean borders with strong card stock and edges void of typical chipping. Mikan's style and presence on the court changed the game and opened up a new chapter for the role of center. 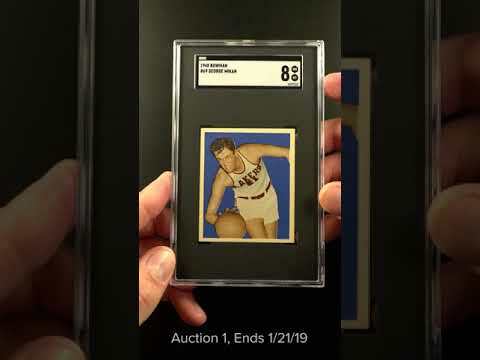 As the hobby's first Basketball set and the fact that Mikan, a legendary figure to the game of Basketball, is the key component to the issue, this card represents one of the best investment cards in the hobby. A vastly under valued card in our opinion. Comes highly recommended by PWCC. One of over 16,000 cards, lots and sets up for bid in our 1st Auction of 2019. Click on the link above to view the other PWCC auction lots.